Acupuncture is a medical technique involving the insertion of very thin needles into the skin along specific ‘energy lines’ in the body. Originating in China, it has been practiced as a part of traditional Chinese medicine for centuries. Although it still has many skeptics, it is widely practiced all over the United States. Many people report finding relief from chronic pain and other ailments because of it. Most people who seek out acupuncture and other alternative medicine pay for their treatments out-of-pocket. However, some insurance plans will cover it to some extent. People with serious disabilities who do not have the money or insurance to pay for acupuncture but who have found relief from it may be able to seek assistance from the government to pay for this treatment. Not every government healthcare program covers it, however. Perhaps most significantly, Medicare doesn’t cover acupuncture. Medicare does cover chiropractic care, but in general, its coverage for alternative treatment leaves something to be desired. If you qualify for Medicare, there may be other programs that can help you. Unfortunately the State of Indiana hasn’t embraced acupuncture as quickly as states on the West Coast, where a Chinese cultural presence is stronger. Fortunately, you still may have options. The Department of Veterans’ Affairs, for one, does cover acupuncture. The DVA sets its own policies, separate from Medicare. As a program only eligible to veterans, it is designed to meet their specific needs. Multiple scientific studies have shown that acupuncture is useful in treating chronic pain and similar illnesses. If you are a veteran, you may be eligible for acupuncture coverage from the DVA. Even if you are not a veteran, there may still be programs that can help you find coverage for the treatments you need. 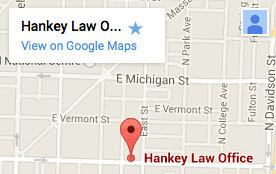 To discuss your case with an experienced Indianapolis disability lawyer, contact the Hankey Law Office today at (800) 520-3633.